Maruti Suzuki has begun working on the next-gen Maruti Alto (codename: Maruti Y1K). While the current Maruti Alto is available with 0.8- and 1.0-litre engines, the next-gen Maruti Alto may have a 0.66-litre option, reports BW Businessworld's Senior Correspondent Avishek Banerjee. The JDM-spec Suzuki Alto is available with a 0.66-litre three-cylinder petrol engine. The next-gen Maruti Alto will ride on an all-new, lightweight platform. The HEARTECT platform-based current JDM-spec Suzuki Alto is already available with a 0.66-litre petrol engine. 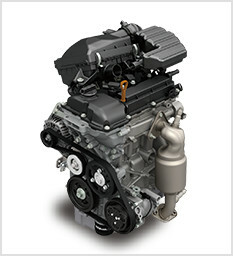 It is the R06A 658 cc three-cylinder unit that produces 38 kW (52 PS) at and 63 Nm of torque. With this engine, the Alto delivers a remarkable fuel economy of up to 37 km/l (JC08 test cycle). In the next-generation Alto, we may see Maruti Suzuki coming up with a smaller (than 800 cc) but more powerful engine. This ultra-refined 660cc petrol motor, will be more fuel efficient and will be compliant with BS-VI emission norms. However, due to its high-end technology its price tag will be equivalent to or slightly higher than the current 800cc (BS-IV) variant. The next-gen Maruti Alto will ride on an all-new, lightweight platform. HEARTECT platform of the JDM-spec Suzuki Alto pictured. It is unknown if the source is referring to the engine of the JDM-spec version, but it is likely that the Indian-spec will not have a CVT due to its cost and maintenance. The 5-speed automated manual transmission would work better in India, besides the staple 5-speed manual transmission. Maruti Suzuki was testing the JDM-spec Alto with the R06A engine in India in 2015. A 0.66-litre engine variant with a fuel economy rating of around 30 km/l would help Maruti Suzuki keep rivals Renault Kwid and Hyundai Eon at bay, but will Maruti change easily what has worked for it for 17 years? The next-gen Maruti Alto is expected to arrive in India by the end of 2019.